Unforeseen events such as terrorist attacks or sudden shifts in weather, can impact on sales and footfall. In the new digital age, the real question is what are retailers doing with this knowledge? How are retail businesses using data that is now readily available to better understand risk? We will analyse the impact of non-damage events on retailer's revenue and how the use of data can simplify the process of identifying and predicting risk. With our partners at ForgeRock, this webinar will explore how retailers can effectively manage their customers’ identities to optimise the online user journey. Gain an understanding of how and what information you are collecting about your customers online and how you can use this to boost customer loyalty and ultimately growth in your online sales. Every day billions of pounds worth of goods flows through the United Kingdom on time-critical journeys to distant places around the world. With Brexit looming and uncertainty still on the future scope of trade arrangements between the UK and EU, one thing is clear; technology will play a much bigger role in customs and logistics in the coming decades. Better integrating new technology into the supply chain will limit the time getting goods in and out of ports and other border entry and exit points and will provide a solution to some of the challenges around higher consumer demand for food and non-food products. This webinar, with our partners at DP World, will set out the new ways in which technology can help companies transiting goods from the EU and other countries and how to deal with the regulatory and customs challenges that exiting the EU will present from March. Exploring how retailers can effectively support their staff and maximise workforce productivity as the industry undergoes rapid transformation. Drawing on the wealth of workforce data collected by the BRC, our experts along with our partners at Kronos will offer insights and practical tips on how we can bring staff on board and embed positive employee experience as a key part of the change process. The holiday period is a significant time for retailers, with sales anticipated to dramatically increase during what is typically a peak selling season. This webinar will provide a recap looking at how the retail industry fared over Black Friday and Christmas. With our partners at Qlik, we will be using bespoke data and visualisations to walk you through the highs, the lows and key lessons from this year’s festive season. Join us for our latest Brexit Webinar on Tuesday 27 November at 11am. After Sunday’s European Council summit, there will be finalised texts on both the UK’s exit arrangements, proposed Brexit transition (in the Withdrawal Agreement), and the signpost of the future trading relationship between the UK and EU (in the Political Declaration). Our Brexit policy lead William Bain will take you through what is in the new version of the Political Declaration, substantially changed in the last week, and what it could mean for your business in doing trade with the rest of Europe. We will also provide an outline of how the deal would affect the movement of goods between GB and NI, and the latest Brexit timeline of events and potential next scenarios on approving the deal, no deal, or other options as attention shifts back to Westminster for the critical few weeks ahead. Designed exclusively for our Associate Members, join us for our next quarterly webinar providing insights into the latest retail stats, fact, and industry trends. In this session, our Insights and Analytics expert will discuss how the retail industry is likely to fare in the run-up to the festive season, in the context of previous years and current trends. UK Cabinet Ministers and EU member states are considering the terms of a prospective deal which could be agreed later this month. In this special webinar, the BRC’s Brexit policy advisor William Bain will discuss and take questions on this week’s crucial developments and as the timeline towards a deal or no deal outcome accelerates. A No Deal Brexit is looking increasingly likely and we now need to prepare for a much sharper rupture from existing rules and trading terms post withdrawal March 2019. This webinar will enable you to put your questions to and gain insight from our Brexit expert, William Bain, on contingencies retailers may want to develop as we near the exit deadline without a clear deal in place. It will cover key issues including staffing, transit of goods, customs and regulatory checks processes, taxation and duties, data, regulatory authorisations and permits, and the integrity and efficiency of supply or sourcing chains. The webinar will discuss the short- and long- term changes retailers can make in their cold supply chain in order to boost their competitive advantage in the transition to the low-carbon economy, and how to address climate change through the development of science-based targets. Speakers will include representatives of the BRC, Emerson and Waitrose. We know the Board has a key role to play in supporting better cyber-security but with so many pressing and competing issues, how can we raise cyber security up the Board’s agenda? •What is the role of the Board in supporting better cyber-security? The world is changing. FAST. Technological innovation is re-shaping our retail workforce, perhaps more fundamentally and more rapidly than we could ever have imagined. 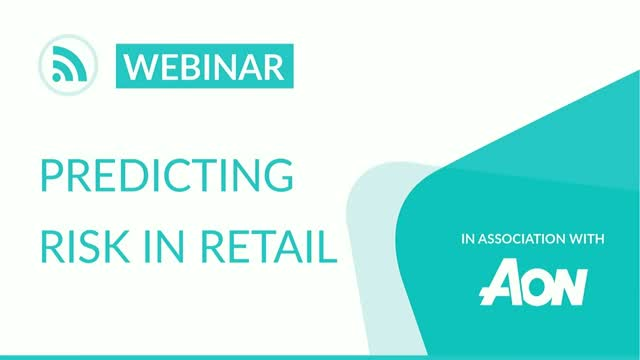 In this webinar we consider what the future workforce could look like and what retailers might consider to keep pace today and get ahead tomorrow. Productivity in retail is hot right now, but often thought about with a one dimensional, cost savings lens. In fact, better results tend to be achieved when everyone in the value chain has visibility of problems in order to develop collaborative solutions. Join us for this webinar where BRC and PwC experts discuss the topic, share a client case study in detail and answer your questions. In this webinar we share the data and analysis from our research into employee engagement in retail, outlining some of the key challenges and some innovative solutions that have been implemented. Improving employee engagement is high up the agenda of senior management in retail. Employees who are motivated and more able to fulfill their potential are also more productive. With margins under ever increasing pressure, facilitating productivity gains has never been more crucial. However, improving engagement can be complicated and requires an in-depth understanding of some of the underlying issues holding engagement back. The retail industry is committed to complying with the National Minimum Wage (NMW) regulations. But we know that the regulations are complex and understanding how they work in practice can be difficult. Repayments for up to 6 years (including current and ex-employees) increased to reflect the prevailing NMW rates; penalties of up to 200% of the underpayments identified; and public naming and shaming by the Department for Business, Energy & Industrial Strategy. It is not easy to spot where and why breaches can occur, or how to remedy them. PwC have a specialist team who have a great deal of experience in assisting retailers to identify and manage potential compliance risks around NMW. This is based on our understanding of the technical aspects of the regulations and also our practical experience of the approach taken by HMRC when they perform their audits. The webinar that we are running in February will take you through what is involved in a NMW audit and the top areas that HMRC will focus on during an audit. We will suggest some immediate actions and take questions. Qlik & the BRC bring you a comprehensive analysis of the 2017 Black Friday and Christmas period for the retail industry. Using bespoke data and visualisations the session will walk through the highs, the lows and key lessons from this year’s festive season, reflecting on what it might all mean for the coming year. You will hear from both BRC and Qlik experts, with an opportunity to ask your own questions. The go-to trade association for all UK retailers. Promoting the story of retail, shaping debates and influencing the issues that matter to the industry.